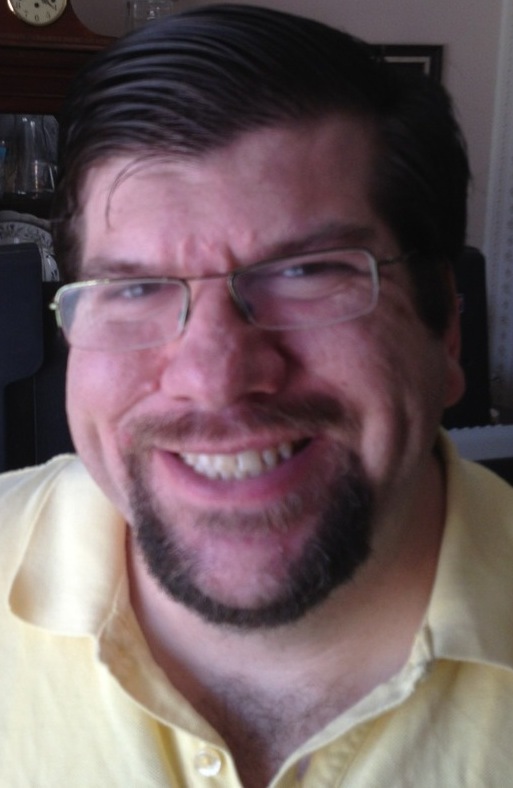 This week’s guest is author, Scott R. Caseley. Scott tell us about yourself, please. I was born in Nashua, New Hampshire and grew up in the next town over, Hudson. Being raised in a town that grew up around me was very interesting as I evolved to see where it had been and look at where it’s headed with pride. I wrote my first short story in the second grade, and the pen has been glued to my right hand ever since. But, I also made sure to have a full boat of interests besides the written word. After graduating from Alvirne High School in town, I enrolled in Franklin Pierce University where I majored in Mass Communication and minored in History. While in attendance at the small liberal arts institution, I enlisted the help of some 225 people to put together my first movie that I co-directed with a friend who graduated earlier than me. It won me an award called the Creative Achievement Award for Excellence in Mass Communication. A few years after I turned my tassel from right to the left, I directed a second film financed through working retail and temp jobs. I also was cast in a few films where I played bit parts including one where I portrayed myself. Sometime later, I directed a documentary short in New Hampshire and Massachusetts. I also directed a talk show for a good stretch of episodes after appearing as a guest on one of the initial episodes. I am also obsessed with healthy living, cooking low-fat, low-calorie recipes, and working out in as many as six different ways in a week. 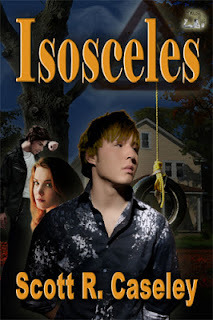 In January of 2013, my first novel Isosceles was released by MuseItUp Publishing, at the end of a odyssey spanning many years writing and revising the story, which started out as a screenplay. The story reminds me of my hometown, it has grown up, gotten much bigger, but still has the points it’s had from the very beginning. And, this story is only the beginning of my journey as a novelist. . . .
What a fascinating journey you’ve had so far. Scott, can you tell us more about Isosceles? 1. Listening – Much of contemporary writing is dialogue-heavy, and what better way to make sure yours is authentic sounding rather than cliché filled is listening to those around you. Pay attention to their word choices, cadence, the emotion they carry through conversations. 2. Reading – When you want to write in a certain style, or if you have a genre in mind, you should read all the books, essays, screenplays, poetry that reflect similar themes to see how those who came before you did their works. 3. One hour of writing every day – Every day, you should spend it with pen or pencil in hand jotting down notes, writing a poem, journaling, blogging, writing a short story, or even as much as thousands of words for your first or next novel. This will help you to strengthen your language, maybe expand your vocabulary. Who knows a poem you write today may inspire a novel down the line. A poem I wrote in high school found its way into my novel, so you never know. 1. Yoga – When I like to detach myself from the busyness of a day, and relax, I do some yoga. It’s relaxing for the mind, but it has also led me to be better at the other five types of exericise I like to partake in through flexibility, stamina, and strength. 2. Cooking – One of the best ways to drop pounds is to eat out less and cook your own meals. Ever since watching Jack Tripper (played by the late John Ritter) on “Three’s Company”, I have loved to cook. My repoitoire now covers seventy plus recipes I have found online, through friends, family, or in books from five continents. Does anyone reading this know any great Australian or New Zealand recipes? 3. Exercise of several varieties – Back in early 2011, I started a fitness challenge, and over time I have begun introducing more exercises into my regimen. I love yoga most of all, but I also enjoy walking (either on the treadmill or outdoors), light weight training, hula hooping, and occasionally some jogging. 1. Filmmaker – Directed a feature film, a documentary short, and a talk show. 2. Actor – Acted in a number of films including one where I played myself. Also was trained on how to be a stage actor and finally a voice actor and was trained by the legendary Jordan Rich. Scott, where can our tech-savvy readers go to keep up with you and your writing? Thanks for charming us on this week’s Three Times A Charm, Scott. 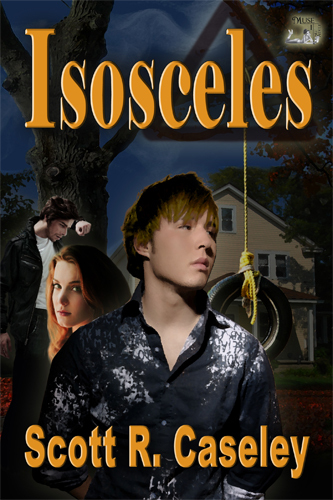 Best of luck to you and your brand new book, Isosceles. I like your top 3 skills. Do we as writers take the time to listen? Not just to our own words but to the world around us. Interesting interview. I admire your excersing and also cooking. Congratulations on your book. Best of luck. Thank you very much. I hope we do. Listening is crucial and the accompanying reaction to what is being said or as you eloquently put it, "the world around us". Thank you very much for your kind words of support, and I find that healthy eating and exercise makes each day more enjoyable. Thank you, I appreciate that. Oh, really? That is so interesting. I hope she is enjoying herself down there. That's one place I've always wanted to visit. And, thank you for your offer to see if she has any Maori meals. That would be most wonderful.